On February 17, Ed and Brad flew on to Sierra Leone. 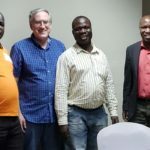 Brad had a joyful reunion with Pastors Paul Bockarie and Hassan Koroma. Both of these men assisted with the upcountry MOV conferences last year. 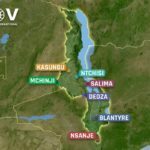 Their efforts launched some 65 discipleship groups, which they’ve been tracking, and hearing testimonies of group and church growth. They have also entertained requests for more conferences in additional cities. The conference this year in Freetown was one of the requests. 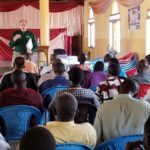 We spent a day praying and preparing for the conference to be held in the New Life in Christ Church, Kossoh Town (a suburb of Freetown). 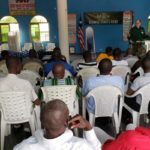 Around 55 men from 15 churches turned out ‒ a smaller group than the hosts expected, but a very excited group with the desire to start anew and reach other men. Once again, we were happy to see the interest and enthusiasm as they discussed the importance and impact of men in the frequent small-group discussions. 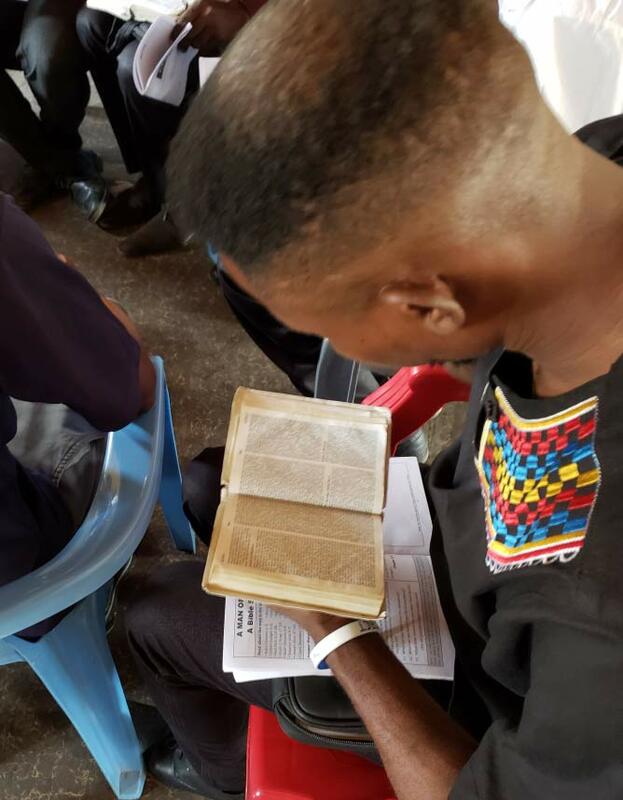 Church attendance in Sierra Leone is no different than many other areas in the world: our host church of around 120, and only ten to fifteen are men. When we shared why it was important to attract men, you could tell they were intrigued, and much discussion ensued on how to do so. 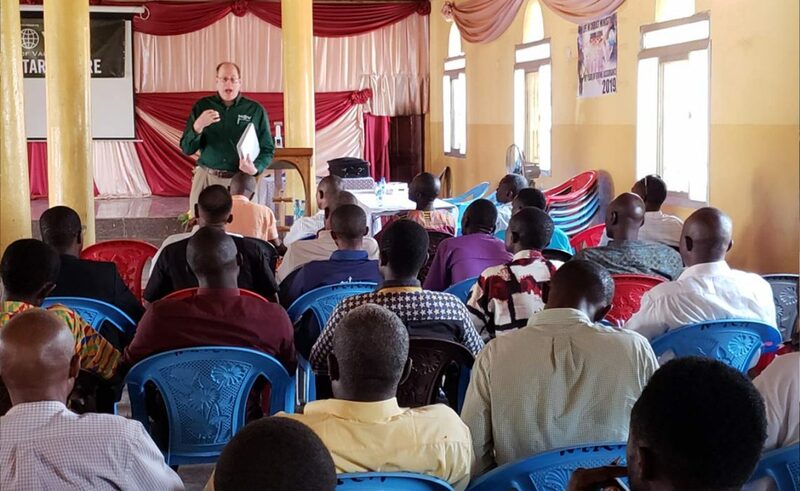 When we called for men to lead discipleship groups, at least 30 volunteered. Please pray for them! We also met with a board member of a local Catholic school. She heard about MOV’s efforts last year and would like to see MOV materials presented to the male teachers in the Catholic schools. Pastor Koroma agreed to meet with her and the Archbishop of Sierra Leone to discus initial steps. Given the interest, excitement, and fruit resulting from MOV’s efforts this and last year, as well as this promising exploration by the Catholic schools, Pastor Koroma talked with us about ways to assist the men’s groups, empower small-group leadership, and build a strong in-country network to grow men’s ministries throughout the country and in the schools. There is a strong interest to start an MOV-Sierra Leone!